For many couples, having a baby is something easily planned or even accidental. They joke that all they have to do is merely make eye contact and boom, they're pregnant! 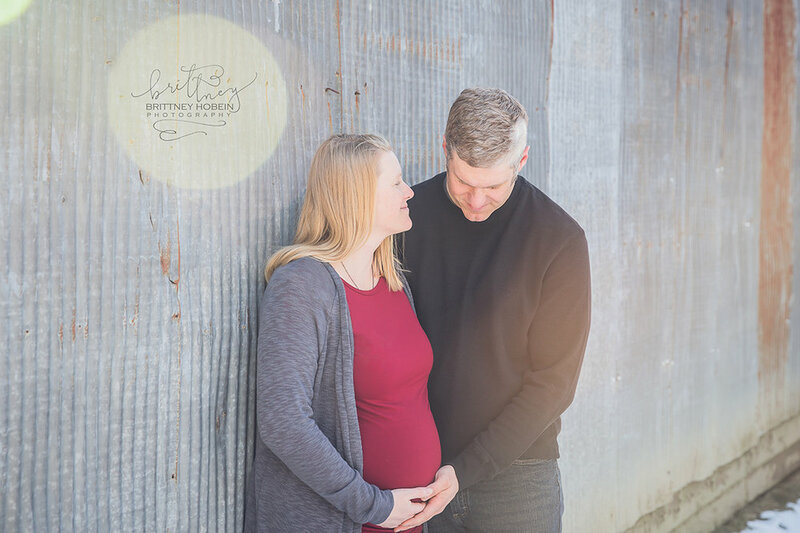 It's easy and smooth and pregnancy goes as pregnancies do and at the end of it all they celebrate the beautiful mess and joy that is indeed parenthood. For others though, the road to parenting is fraught with agony and heartache. For my friend Joy and her husband, it was tearful years of waiting and then loss and waiting and surgery and doubt and fears. But then a tiny miracle rainbow of hope. They were going to have a baby! Being asked to be their photographer meant a lot to me. I know what loss feels like, I have an idea of how hard it is to have to wait and wonder. To have your heart wide open and eager to embrace a new life, only to have your hopes dashed month after month after hopeless month. It's a hard journey, and most people are oblivious to the agony. As we traipsed around the little farmstead she grew up on the emotions of it all hit. The heartache, the loss, the hope and the realization of their sweet gift erupted into tears as she and Luke clung to each other. "I never thought we would get to do this!" She cried. Their joy is not without empathy for those still waiting, still crying, still hoping, or choosing to let it all go. For every baby movement, every milestone, every great prenatal appointment, she remembers the days she prayed for this; and the community of sisters she became a part of who still are. Life is such an incredible gift. And sometimes it's the worst storms that make the prettiest rainbows.